New Delhi: Ford will launch the Made-in-India, second-generation Figo in the United Kingdom in October, reports in the land of the Union Jack suggest. Carrying the Ka+ moniker, the hatchback will be priced from £8,995 (Rs 8.85 lakh). It will be a virtual replacement for the three-door Ka being sold in the UK and will be placed as an affordable option below the highly popular Fiesta hatchback in the country. Ford UK has started accepting bookings and deliveries are set to commence from October this year. Manufactured at Ford’s Sanand plant in Gujarat, the UK model of the Figo has undergone heavy customisation to suit European preferences. Major changes include standard equipment which now includes six airbags, Ford’s Sync voice-activated phone and audio system, a smartphone docking station, a speed limiter and hill start assist. The car will be available as a five-door with two trims – Style and Zetec. Against the Indian version, the handling and the ride of the Ka+ are also more suited to European markets. Based on the global Ford platform, the car is claimed to have class-leading front headroom and rear legroom. Overall, it rides a little low and is 20mm shorter than the Fiesta. Under the hood, the car is expected to be powered by a 1.2-litre motor, which is similar to the 1.25-litre pot offered in the Fiesta. The engine however could be tuned to come in two power outputs – 69.9 PS and 85.1PS, the latter to be not available at the time of the launch. 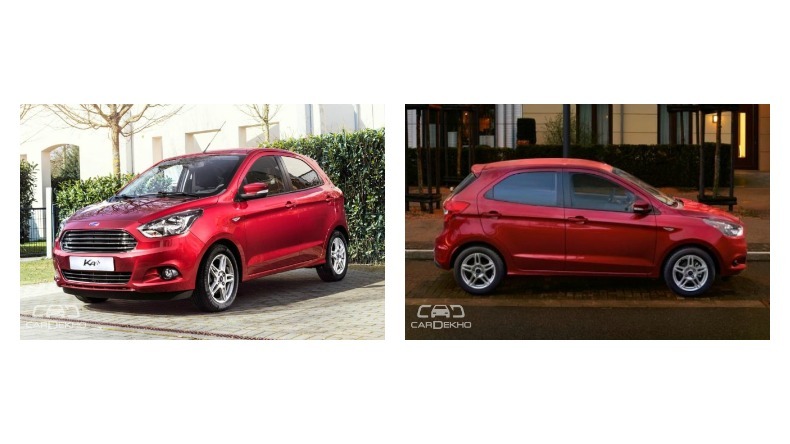 The Ka+ will be the third iteration of Ford’s Ka series of cars after the original premium city car Ka from around two decades back and the second Ka that was produced with Fiat in Poland. The latest car carrying the Ka moniker has also come in as a sort of coming of age for Ford. Having distanced itself from the budget end of the market, Ford has finally acknowledged the Kia Rio and Dacia Sandero as the Ka+’s rivals. Have anything to share about the Figo alias Ka+? Let us know in the comments section below.